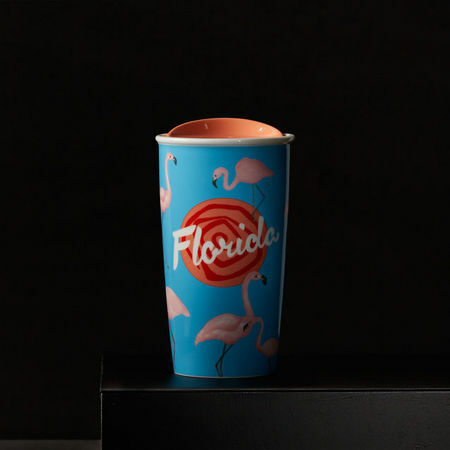 The bright blue-and-pink design captures the quirky playfulness of the Sunshine State. The mug's double wall construction helps hands stay cool, and the pink press-in lid with silicone seal helps prevent spills. Pink spiral dot on front. Holds 12 fl oz. Handwash only. Do not microwave. Part of the Dot Local Collection.